Product prices and availability are accurate as of 2019-04-19 12:59:38 UTC and are subject to change. Any price and availability information displayed on http://www.amazon.com/ at the time of purchase will apply to the purchase of this product. 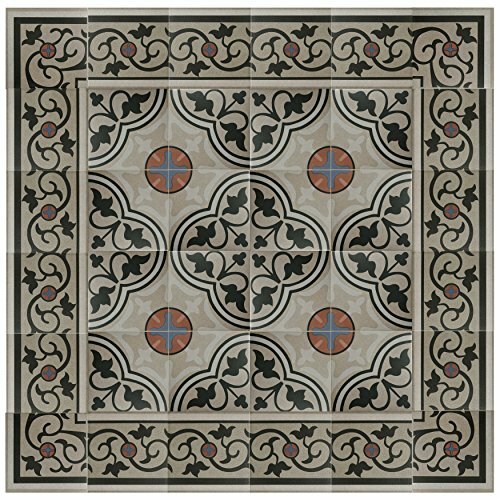 The SomerTile 7 in. X 7 in. 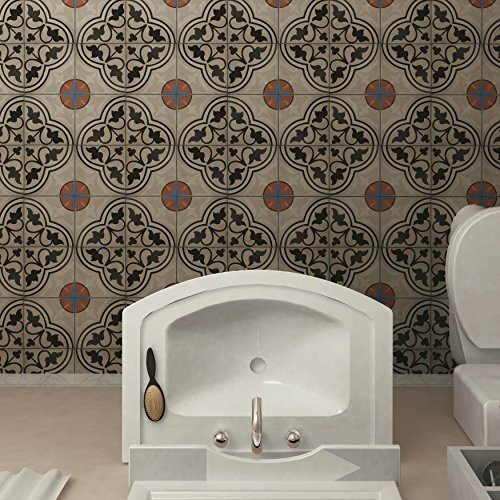 Zementu quatro and centro porcelain floor and wall tile features a striking pattern in shades of Beige, charcoal, red and blue, with a flourish of vines. 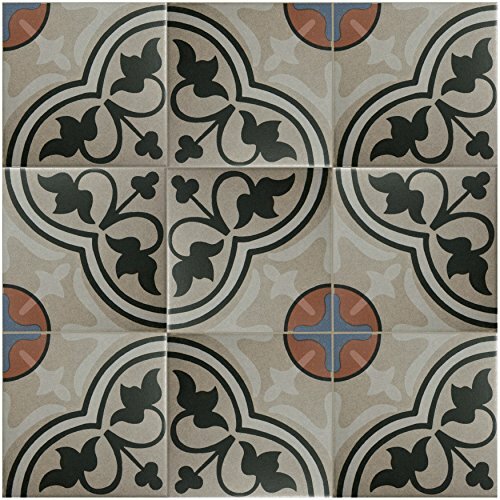 This tile is perfect for any medium-traffic room. 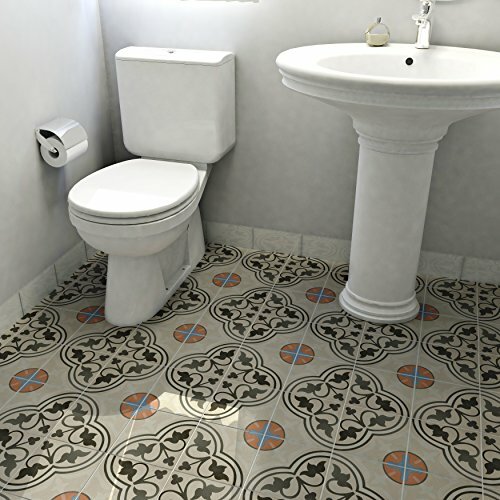 This modern porcelain floor and wall tile is perfect for rooms that receive medium traffic. 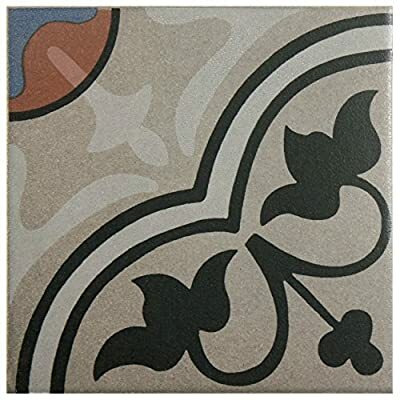 The 7-inch square tile features an attractive vine pattern in blue, red, charcoal, and Beige. 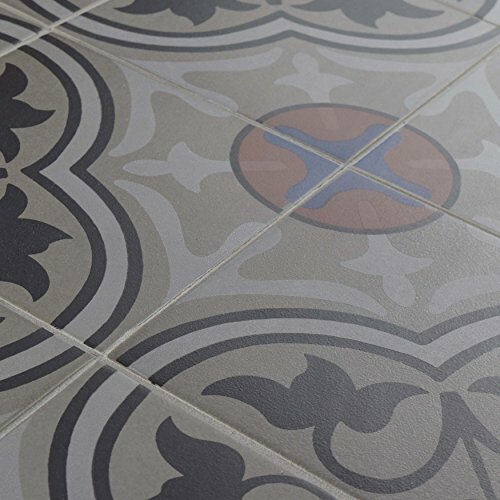 They are glazed with a low-sheen, smooth finish that's easy to clean.